Color/Consistency A thin light yellowish brown color and a highly fragrant odor. Blends With Frankincnse, Lavender, Cedarwood, Orange, Lemon, Neroli, Ylang-ylang. 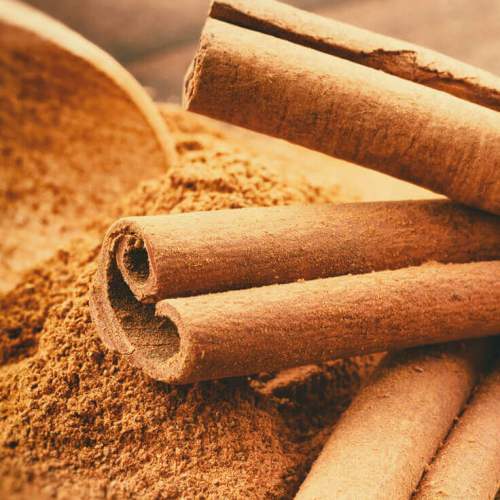 Sweet and spicy, cinnamon is one of the oldest spices known to humans; it is also a favorite topping or secret ingredient in both sweet and savory recipes. This warm spice is obtained from the dried inner bark of several species of trees within the Cinnamomum genus. 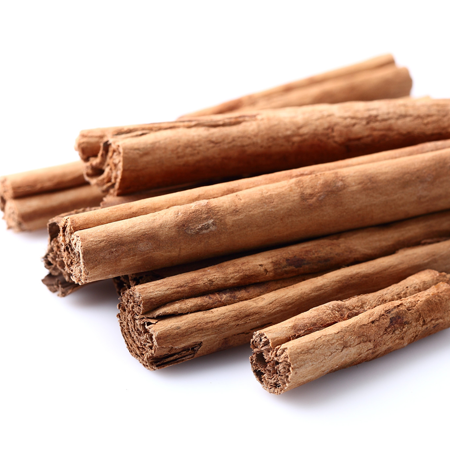 In Aromatherapy, diluted Cinnamon oil can be used for infection of the respiratory tract, rheumatism, arthritis and general pains. It calms an exhausted feeling of depression, tones the whole body and stimulates the glandular system, thus easing period pains. 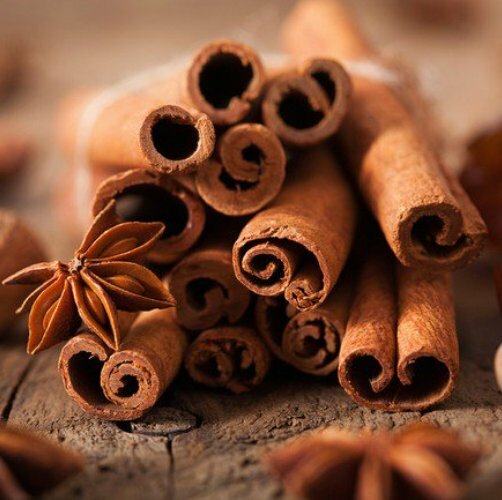 Cinnamon essential oil is also used in the beauty industry as a component for perfumes, cleansers, moisturisers, and toothpaste. Next time you wash your face, brush your teeth of moisturise check the ingredient list you may spot that miracle worker! Cinnamon has been known from remote antiquity. It was imported to Egypt as early as 2000 BCE, but those who report it had come from China confuse it with cassia.Cinnamon was so highly prized among ancient nations that it was regarded as a gift fit for monarchs and even for a god; a fine inscription records the gift of cinnamon and cassia to the temple of Apollo at Miletus. 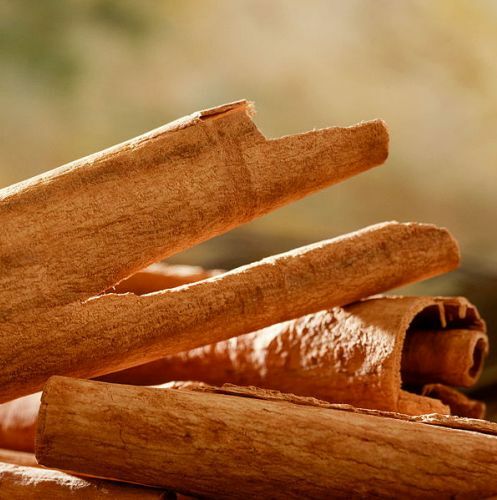 Though its source was kept mysterious in the Mediterranean world for centuries by the middlemen who handled the spice trede, to protect their monopoly as suppliers, cinnamon is native to India, Sri Lanka, Bangladesh, and Myanmar. The stems must be processed immediately after harvesting while the inner bark is still wet. The cut stems are processed by scraping off the outer bark, then beating the branch evenly with a hammer to loosen the inner bark, which is then pried off in long rolls. Only 0.5 mm (0.02 in) of the inner bark is used; the outer, woody portion is discarded, leaving metre-long cinnamon strips that curl into rolls ("quills") on drying. The processed bark dries completely in four to six hours, provided it is in a well-ventilated and relatively warm environment. Once dry, the bark is cut into 5- to 10-cm lengths for sale. A less than ideal drying environment encourages the proliferation of pests in the bark, which may then require treatment by fumigation. Fumigated bark is not considered to be of the same premium quality as untreated bark. Being strong in nature, cinnamon oil should be avoided for internal consumption. 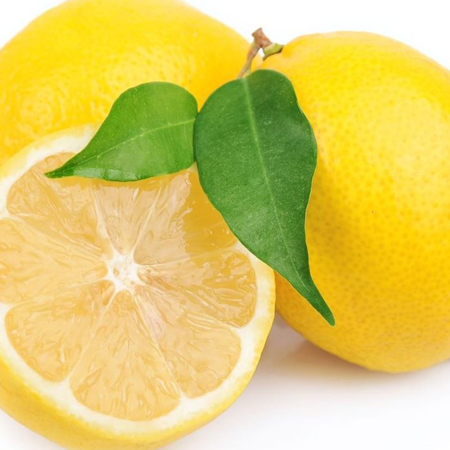 Furthermore, it can have adverse effects on the skin if used topically in concentrated form. Therefore, it should be used in diluted form. Before using the oil, it should be tested to make sure it suits your skin. 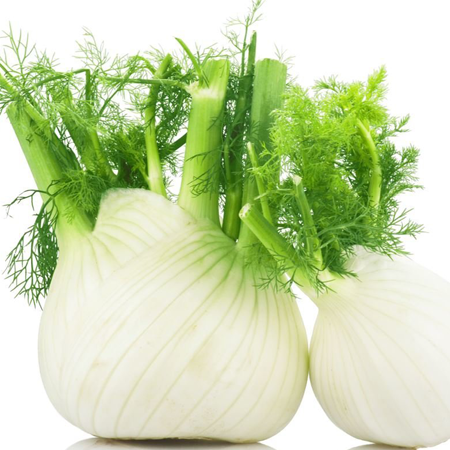 You should apply only a small quantity of the oil initially and check if you develop any allergic reaction. Do not apply the oil on the face and other sensitive areas. Quality Cinnamon bark oil is frequently adulterated with synthetic cinnamaldehyde and natural eugenol. Occasionally cassia oil or artificially reconstituted oils are sold as cinnamon bark oil. Reconstitutions may include cinnamon leaf oil and synthetic cinnamaldehyde. Hazards Drug interaction; may inhibit blood clotting; embryotoxicity; skin sensitization (high risk); mucous membrane irritation (low risk). Cautions (oral) Diabetes medication, anticoagulant medication, major surgery, peptic ulcer, hemophilia, other bleedingdisorders. Maximum dermal use level 0.07%. Our dermal maximum is based on 75.7% cinnamaldehyde content with a dermal limit of 0.05% We agree with the Commission E Monographs daily oral maximum of 200 mg for the oil. Has GRAS status. The Council of Europe has set an ADI of 1.25 mg/kg for cinnamaldehyde, which is equivalent to anadult dose of 115 mg of cinnamon bark oil. 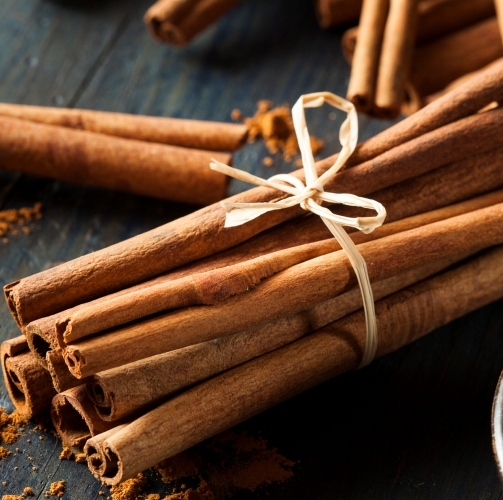 The Commission E Monographs recommend an oral dose range of 50–200 mg for cinnamon bark oil. IFRA recommends a maximum dermal use level for cinnamaldehyde of 0.05% for most product types . According to the SCCNFP the concentration of cinnamaldehyde in any finished product should not exceed 0.1%. Adverse skin reactions The undiluted oil was severely irritating to rabbits, and was mildly irritating to mice; tested at 8% on two panels of 25 volunteers it was not irritating. In sensitization tests carried out on two panels, 8% cinnamon bark oil produced positive reactions in 18/25 and 20/25 volunteers. 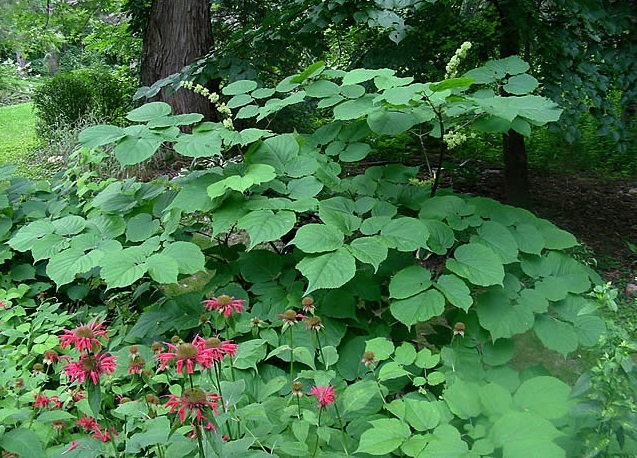 Cardiovascular effects Gavage doses of 25, 50 or 100 mg/kg/ day of cinnamon bark oil for 35 days decreased plasma glucose concentrations in KK-Ay diabetic mice. Cinnamaldehydeinhibits platelet aggregation, an essential step in the blood clotting cascade. Reproductive toxicity When cinnamon bark oil was fed to pregnant mice for two weeks it significantly reduced the number of nuclei and altered the distribution of embryos according to nucleus number. In tests using cinnamaldehyde, there are inconclusive signs of reproductive toxicity. Hepatotoxicity At 25 or 50 mg/kg ip in rats, cinnamaldehyde reduced the activity of glutathione S-transferase, but did not deplete glutathione, which slightly increased. The maximum dermal use level is based on cinnamaldehyde content as there are insufficient cinnamon bark oil data to make a determination. The maximum level of safrole present in cinnamon bark oil would not be dose-limiting. 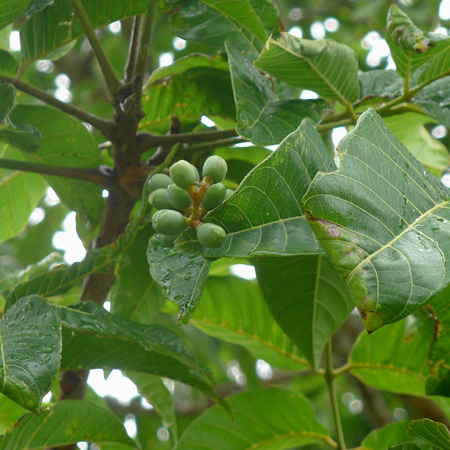 There is an unusual safrole chemotype of Cinnamomum verum, which contains 11% in the bark oil, and 52% in the leaf oil . These safrole-containing oils will present a carcinogenic risk. Two qualities of cinnamon bark oil are produced in Sri Lanka, a premium quality distilled from the inner bark, and a second quality from the chippings and the bark from shoots and twigs. This oil may have a reduced cinnamaldehyde content, and up to 20% eugenol.